Now what would you do for love? Would you kill for it? Would you pay for it? Or better yet, would you just ignore it, and then watch the following 114 minute movie made in 2004. 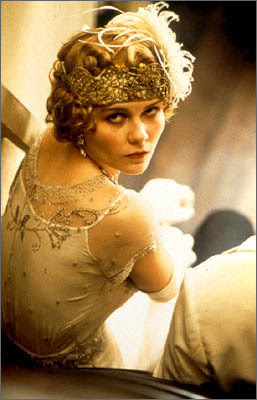 It was Directed by: Peter Bogdanovich; and Starred: Eddie Izzard, Kirsten Dunst, Edward Herrmann, with Joanna Lumley. 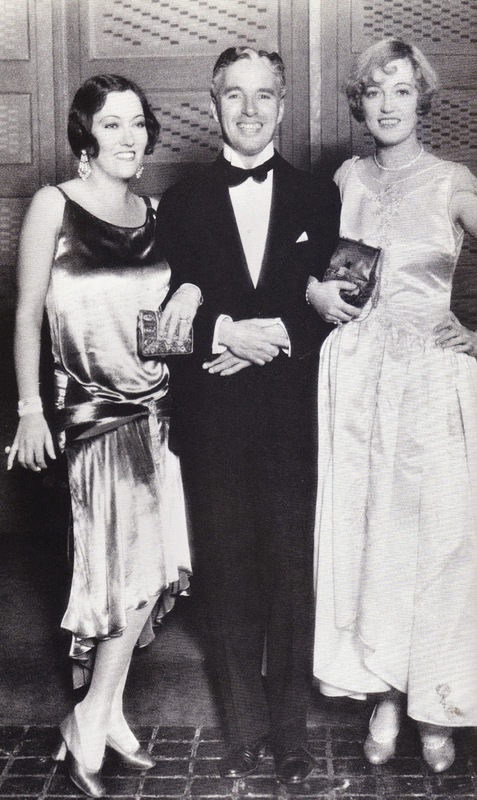 Back in the day when cinema was young, I was luckily enough to have been invited to attend a party hosted by the newspaper tycoon, William Randolph Hearst (Edward Herrmann), held upon his luxurious yacht, the 'Oneida'. Now others in attendance included such luminaries as Charlie Chaplin (Eddie Izzard): the British comedian; Thomas Ince (Cary Elwes): the movie producer; as well as the well known starlet of stage and screen, Marion Davies (Kirsten Dunst). Oh! Wait a minute! You do know who Marion Davies is, don't you? Well, between the two of us, of course, not only is she a well known actress, but she's also the secret lover of both Charlie and William. And funnily enough, when Ince finally caught wind of this love triangle whilst he was sailing and drinking with the rest of us, by his own accord he decided to use this news to win favor with Hurst in an up an coming business deal. No. That wasn't a very clever thing to do, was it? Because ultimately this endeavour resulted in a death upon the high seas. A death, I might add, that I myself -- Elinor Glyn (Joanna Lumley) -- had to keep quiet to my constant chagrin. Still. I suppose that's why what next transpires turns into a right scandal when a dead body becomes difficult to hide. As mystery's are strangely made - actors are perpetually dismayed - editors are financially paid - and at the end of the day, writers have something to sneak into trade. From a purely creative point of view I'd say 'The Cat's Meow' is a pretty impressive film. And the main reason why I say this, dear reader, is that early on in it's telling the people behind this production had to introduce the characters, set up it's period tone, as well as realistically relay the love triangle between three of its principle players. What's more, they had to do this whilst also stretching a five minute rumor into a full length feature film. 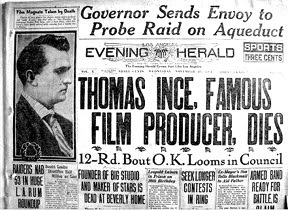 You see, basically this is an allusive parable about what could have caused Thomas Ince's death way back in the 1920's. Obviously the makers behind this movie would like you to believe that his demise was accidentally caused by William Randolph Hearst. Where as other noted sources -- mainly from Ince's and Hearst's own family -- would like you to think otherwise. As for me on the other hand... errr... I'm not quite sure really. Although one side of me would like to believe what this movie is trying to tell us, another side of me would like to leave sleeping dogs lie -- so to speak. Ince is dead. That's a fact. And so is everyone else involved in this tale as well. So I suppose what I'm trying to say here, is that would killing a dead mans reputation prove anything when not everything has been proven? Anyway, let me start off my review by saying that I did like watching this movie. I liked how both the British and American cast played off of each other in a very debonair fashion. I liked the fact that most of this story was shrouded in a cloak of ambiguity. And finally I liked how this tale had a very art deco style to it, complemented with a fairly black and white color pallet, despite it being a color film. Furthermore, from a narrative level I'd say this 'slice of yesteryear' played out like a Victorian melodrama, and that it was very elegantly book-ened by Joanna Lumley's husky voice over narration. 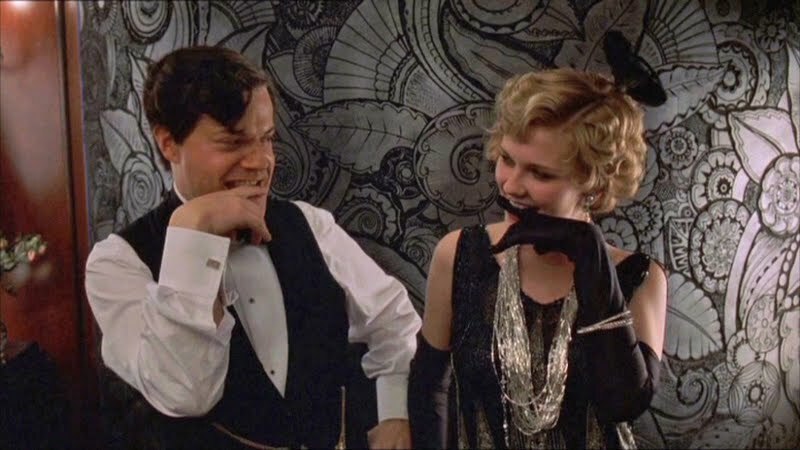 Also, while I'm on the topic of the actors, as much as I did like most of the casting choices -- principally Herrmann playing Hearst, as well as Kirsten playing Marion -- in the same breath it was difficult for me to swallow Izzard playing Chaplin. Of course, I do mean this with all due respect. Yet I largely attribute my stance to them both being so well defined as actors in their own right, that seeing Ed play Charlie felt slightly off somehow. Almost as is this was a surrealist take on both of these great artists. Like Elvis playing Buddy Holly for instance. Understandable on one level, but slightly off-kilter on another. Still. Within the scheme of things this is nothing more than a slight gripe. Where as what I have in store for you next are my great filmic-facts! Ha! (1) 'Lions Gate' first screened this $7 million dollar production at the 'Locarno Film Festival', held in Switzerland on the 3rd of August, 2001. (2) Loosely translated, this project was entitled 'Hollywood's Secret' in Sweden; 'Murder Without Guilt' in Finland; and during pre-production it was given the working title, 'Everybody Charleston'. (3) This flick was based on a stage play of the same name written and adapted by Steven Peros. (4) The majority of this movie was shot on location in around the Greek village of Kyparissi. (5) One of the taglines used to promote this picture, was, 'The Whisper Told Most Often'. (6) Joanna Lumley's great voice over narration that started and ended this film was recorded in only one take. (7) The characters of Didi and Celia were meant to be a composite of several popular film actresses who attended William's yacht during this alleged incident. These were Jacqueline Logan, Seena Owen, Julanne Johnston, and Aileen Pringle. (8) According to the director of this flick, Peter Bogdanovich, he was told this story by the famed film director, John Huston, who was said to have heard it from another legendary film director, Cecil B Demille. 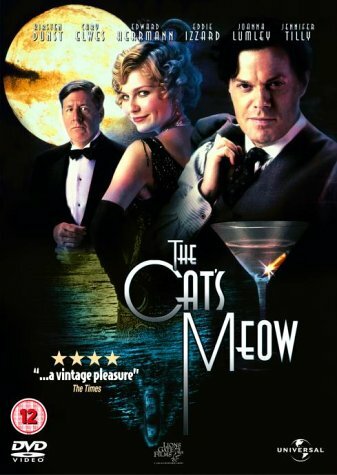 Overall I'd say 'The Cat's Meow' is a pretty decent film for one an all. It's comedic in places. Suspenseful in others. And by in large this art deco inspired melodrama managed to turn a five minute rumor into a rather engrossing parable.